1. This well worn purple tube is my Urban Decay De-Slick In A Tube Mattifying Gel. I've been using the same tube for OVER a year, every single day. Back when I originally reviewed it, I had a hard time figuring out how to use it, but now I've got the process down to a science! I take a tiny dot (less than half a pea), mix it with a tiny bit of water or aloe gel on the back of my hand and apply it to my t-zone after my foundation and before my powder. 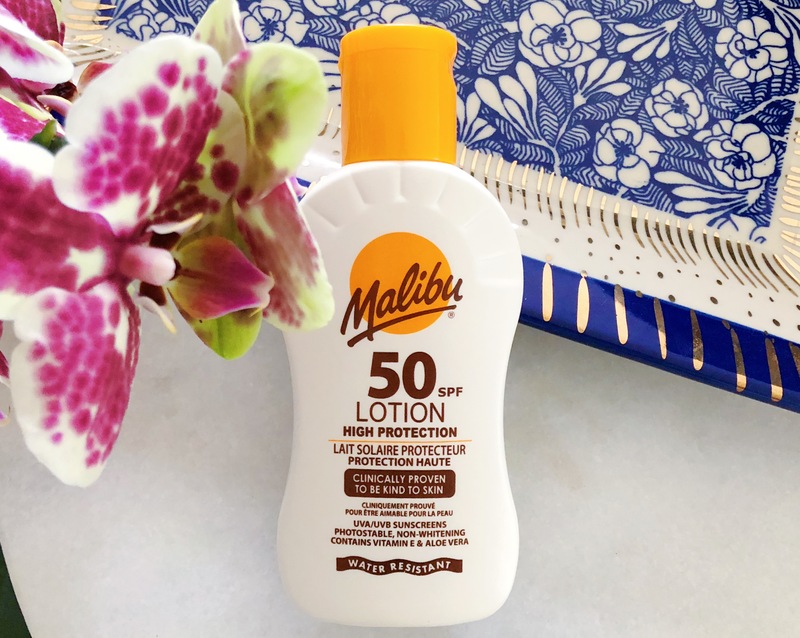 Hours of shine free skin follow. 2. 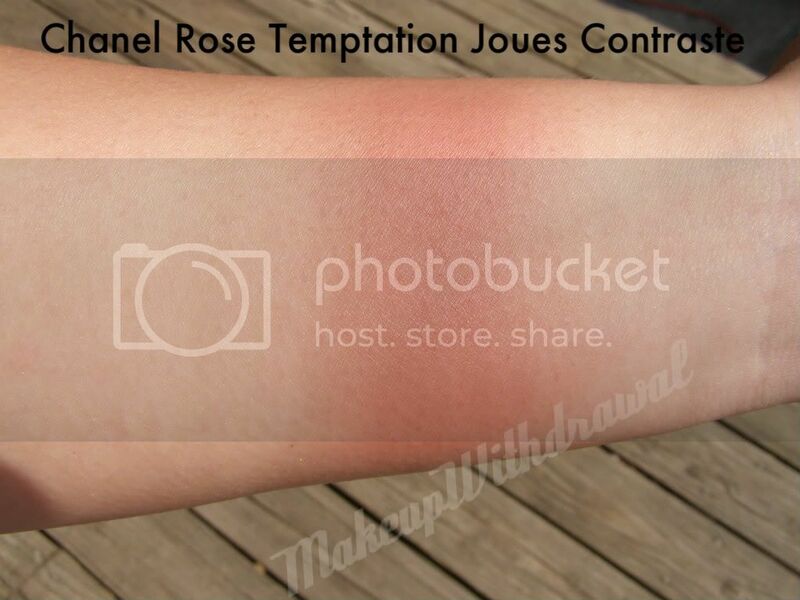 My beloved Chanel Joues Contraste in Rose Temptation. This blush was from Fall 2010, and LE. I'll be very sad if I ever use this up/lose it/break it, because it's a blush that makes me feel like I look amazing! The brownish rose always makes my makeup look sophisticated, well put together and makes my cheekbones look great, never emphasizing redness of my skin. 3. LORAC Behind The Scenes Eye Primer is what I turned to after I became annoyed by the silly packaging of Urban Decay Primer Potion. Yes, I know that it comes in a tube in the "Pro" size, but when I bought a tube it was poorly packaged as well, and gushed all over me the first time I tried to squeeze a little out. I switched allegiances to LORAC's primer and love it just as much! 4. This well worn little pot is Graftobian Hi-Def Glamour Creme Foundation. I wear the shade Ingenue and I bet you won't believe that I've been using this same pot for close to a year. A little goes a ridiculously long way! It's so unbelievably pigmented and cheap- I bought mine for around $13 from Camera Ready Cosmetics. The only downside is that it is a tad bit oily feeling and in the hot summers it makes me feel/look a little greasy. Still, I highly recommend it. It photographs beautifully and comes in over 50 shades. You'll find your perfect match, trust me. 5. My go-to concealer, Make Up For Ever Full Cover Concealer. You may be seeing a trend here, but products I like seem to last a long time, they're well worth their value! I'm pretty certain (don't quote me) that I've been using this same tube (Shade #6, well suited for fair/medium fair skin with yellow undertones) for the last 18 months. At least that long. I like that it sets very quickly and is very dense to cover up blemishes. Due to how fast it dries, I don't find it appropriate for delicate areas like under the eyes. I wish it came in more shades for all skintones. 6. 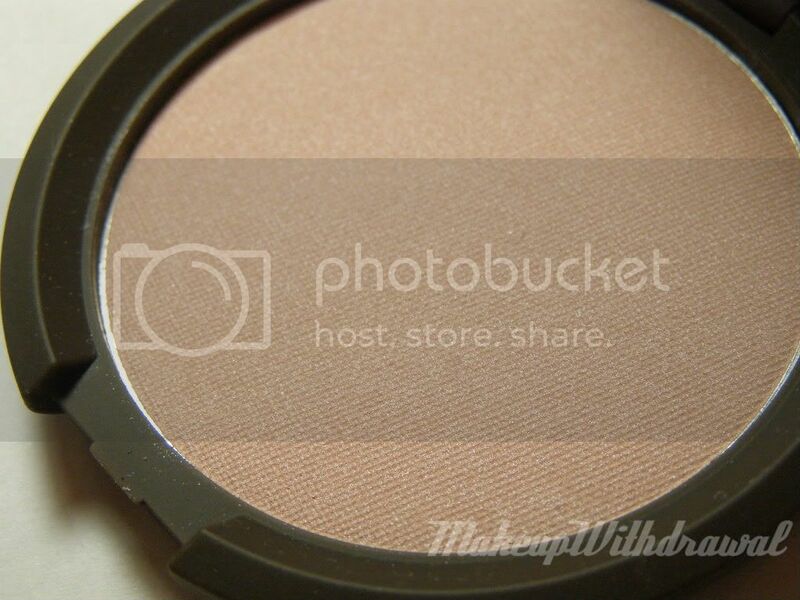 BECCA Pressed Shimmer Powder in Nymph. I didn't believe all the hype about BECCA's PSPs for the longest time. I'm always a skeptic when people rave about how a product is completely different from all other comparable products out there. Yet here I am, agreeing with those people who say that Nymph makes me look delicately glowy, ethereal but not stupidly shimmery and oily. I use the tiniest bit on the top of my cheekbones. I also like the smell of BECCA products which is surprising since I'm overly sensitive to scents. 7. Panasonic Heated Eyelash Curler. Once I went heated, I never looked back at the standard crimping eyelash curlers. I love how this curler is super easy to use (don't brush through your lashes, just use the wand to bend over your lashes at the base) and the heat gives me lashes that stay curled all day, regardless if I'm using waterproof mascara or not. I also like that I can actually curl every lash, including my inner ones which stick straight out and sometimes INTO my eye. I was seriously about to rebuy this curler before I found it again. It's quite cheap (I think around $14? Check Amazon or Ebay) and small, fits perfectly into a makeup bag. Awfully long post, wouldn't you say? 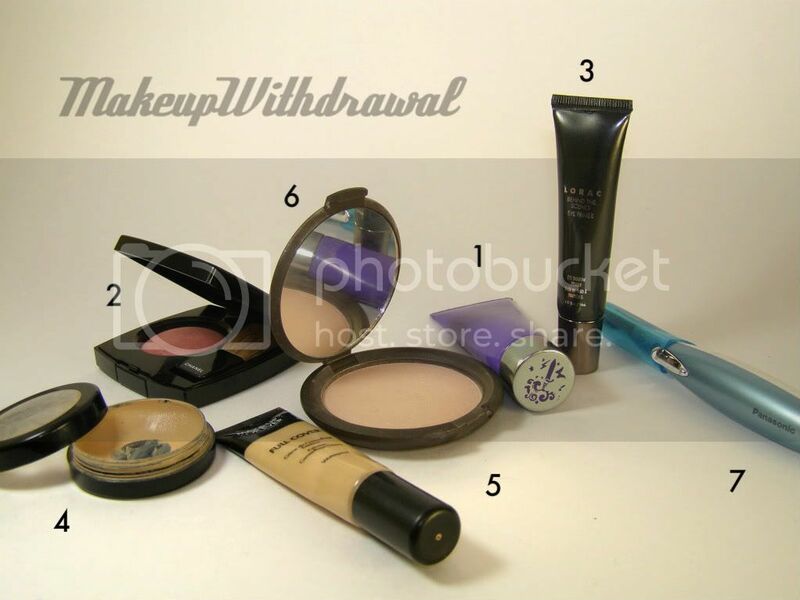 There you have it, seven products that I use quite often (almost every day with the exception of the Chanel Rose Temptation) that I would absolutely repurchase if something were to ever happen to them. What are your absolute desert-island-I-can't-live-withouts? Products feature were purchased by me, for my own use. For additional information, please refer to my Disclosure Policy.